New possibility of ranged attacks, this time with a slingshot. GrimSlingshot 1.7.2 adds a new object to the game which can attack from distance, so you will need stones to shoot them. Get these stones from the stone blocks or dirt blocks . Unlike the bow,the slingshot will shoot with a single click, which allows us to shoot faster than a bow, since the bow requires to press the mouse button a larger time. 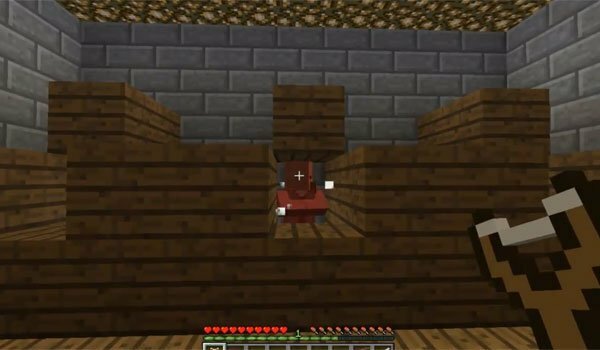 How to install GrimSlingshot Mod for Minecraft 1.7.2?